Breaking News| Entertainment| Lifestyle | Fashion| Politics | Social Issues| And Sports, We Gat You Covered. A screenshot of the controversial Facebook post Maame Akua Pretty Queen, a Ghanaian lady on the 20th of March, 2017 took to her Facebook account to publicize her s*xual interest which unsettled her male friends. According to the dark-skinned lady who is endowed on both sides of her body, she wanted a man who could be industrious with his tongue in the 'other room'. "I need a guy who can lick me and my an*s 24hrs before he f*ck me," were her words thereby causing a stir online. Even 11 days after making the post, her name is still trending with undue attention from male folks fantasizing about sleeping with her. It was a hot afternoon in the Big Brother Naija house as Bisola slammed Debbie-Rise telling her to shut her f**king mouth after Debbie called her a mad person. 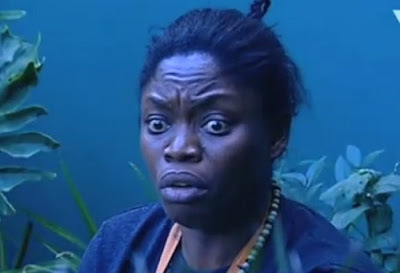 Bisola in a fit of rage had told Debbie-Rise that she could talk anyhow she wants after Debbie had put it to her that she's loud and aggressive during an argument over a task given to them by Biggie. 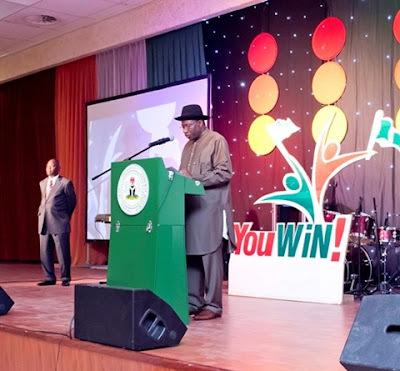 The Federal Government has stopped further disbursement of cash to beneficiaries under the YouWin programme following alleged massive fraud uncovered in its management, Premium Times reports. The Minister of Finance, Kemi Adeosun, said on Friday that the decision to stop further disbursement of funds was to allow government conclude its investigations to unravel alleged massive irregularities in the selection of the winners. The company said it shut the trunk line to remove theft points. 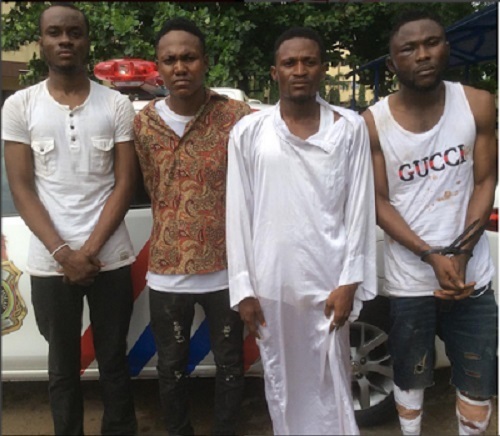 The operatives of Rapid Response Squad of the Lagos State Police Command has arrested four suspects who specialise in tricking sellers of expensive mobile phones pretending to be online buyers and thereafter rob the sellers at the point delivery. The suspects, Wilfred Ehis, 30; Bright Eloho, 24, Emeka Egbemedu, 22 and Olanrewaju Kamilu, 33 were arrested on Wednesday evening in Olamulti Hotel, New Site, Iba, Ojo, Lagos. 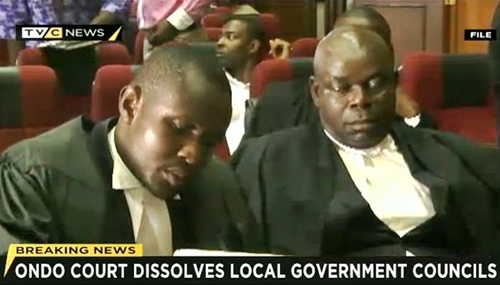 According to TV Continental Lagos, a High Court sitting on Friday in Akure, the Ondo state capital, has sacked the 18 Local Council Chairmen in the state. 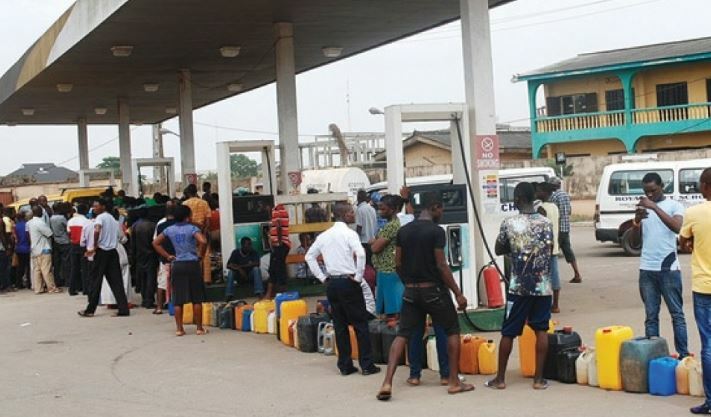 It can be recalled that the Ondo State Governor, Rotimi Akeredolu, had in February, asked the Court of Appeal to upturn a judgment of an Ondo State High Court which barred the state government from dissolving the local government administrations in the state. 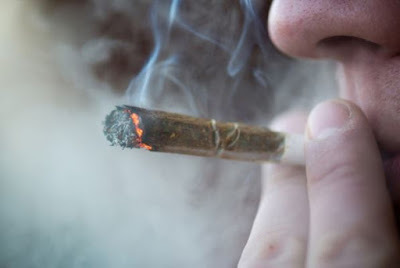 The Western Cape High Court has ruled that it is an infringement to ban the use of dagga (Weed or Cannabis) by adults in private homes. According to a report by News24, the ruling allows for the possession, cultivation, and use of dagga at home for private use. A former staunch supporter of President Muhammadu Buhari named Farooq A. Kperogi has accused the 74-year old Nigerian leader of secretly building a multi-million naira helipad in Katsina, his home-state and also wasting precious state funds on his health care abroad. 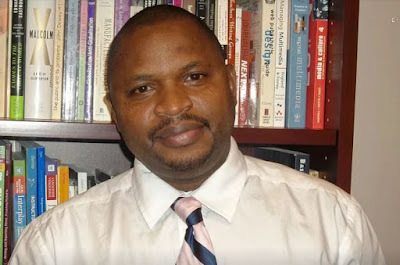 The journalism professor and blogger at the Kennesaw State University in Atlanta, United States of America made the daring allegations on his birthday, 31st of March, 2017 while analyzing issues bordering on the political climate of Nigeria. He made this known in his recent opinion piece titled; "Buhari Has No Business Being The President, Saraki Is A Cold Hearted Conman". The fiery writer took some close jabs at the Nigerian Senate of the 8th Assembly as well as the House of Representatives. 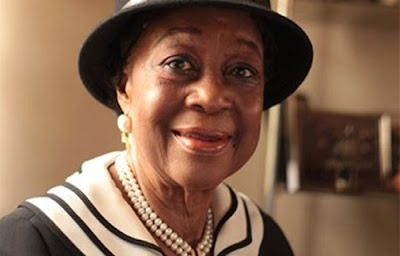 Ondo State Governor, Oluwarotimi Akeredolu Wednesday urged lawyers and judges in the country to tap from the knowledge and experience of the first female Senior Advocate of Nigeria (SAN), Chief (Mrs.) Folake Solanke, describing the octogenarian as a “bundle of gift”. She celebrated her birthday on the 29th of March, 2017. Akeredolu, a Senior Advocate of Nigeria himself, gave the counsel in Ibadan while speaking with journalists during the 85th birthday celebration of Chief Solanke where many dignitaries from all walks of life including the Ogun State Governor, Senator Ibikunle Amosun, former Presidents of the Nigerian Bar Association Chief Wole Olanipekun (SAN), converged to celebrate her. 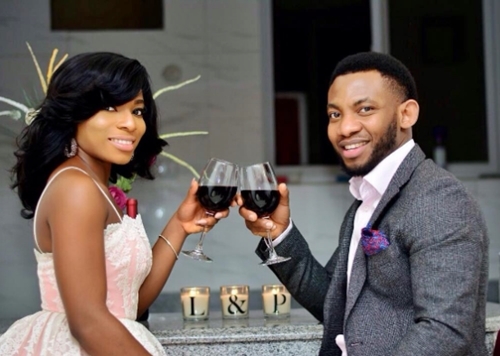 Daughter of a popular Nollywood actress, Liz Benson, Lilian and her fiancee, Precious, have released lovely pictures ahead of their wedding in April 2017. The couple-to-be released the nice pictures shortly ahead of the couples traditional wedding which holds Friday, March 31, 2017. 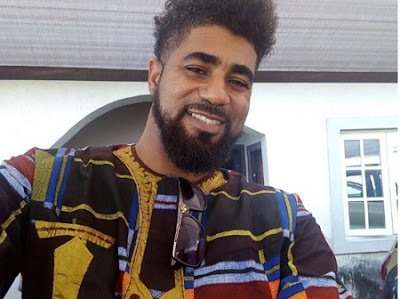 Former Big Brother Naija housemate, Thin Tall Tony is really enjoying his time out after he was evicted from the house as he shares beautiful photos with his wife and kids. Luck has ran out on a suspected ritualist and kidnapper in Bauchi state after he was caught red-handed with a human head. The man who was arrested by security agents was identified as Abdullah Dalhatu. He was accused of kidnapping and cutting the body parts of his victims for ritual. 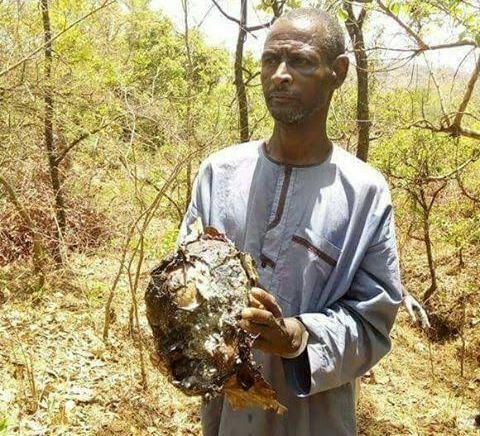 He is said to have led a team of security men to a forest where he buried the head of one of his victims, a 60 year old man. Ade and Ola will be getting married very soon in the year, 2017 and they have released their own idea of unique pre-wedding photos. 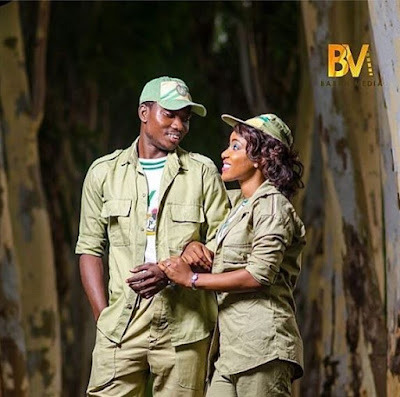 They flaunted their NYSC uniforms in their loved-up photos. The pictures failed to impress some foul-mouthed Nigerians who graced the pictures with unprintable comments. The Central Bank of Nigeria (CBN) has slightly modified its forex operations with Bureau de Change (BDCs) operators in the country. 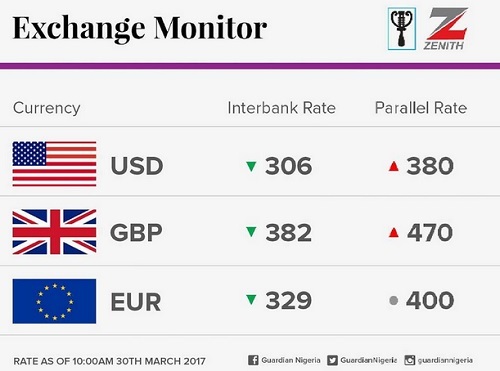 According to Reuters, the CBN claims that the modifications are geared towards ensuring forex availability in the market. The first of these modifications involve the sale of dollars to the BDCs twice a week instead of the weekly affair that was hitherto in place. 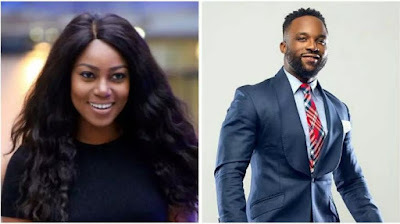 Nigerian singer, Iyanya, has revealed that he is yet to get over his girlfriend, Yvonne Nelson, after their much-publicised break-up in 2012. The musician revealed this during a recent interview. According to Iyanya, he was forced to break up with his girlfriend in order to concentrate on his music career. 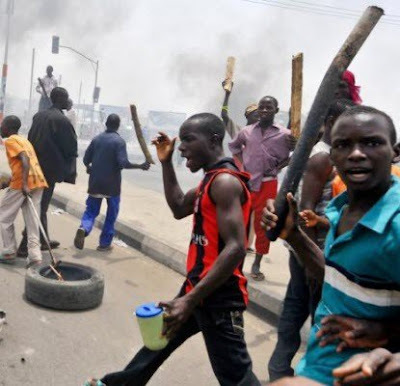 A boarding school located in Onicha-Ugbo, Aniocha North Local Government Area of Delta State, was on Thursday, invaded by irate youths who reportedly held the school principal, Rev. Fr. Anthony Banye, hostage for several hours in his office. According to a report by Punch, the incident at St. Pius X Catholic Grammar School, occurred as a result of the ongoing construction of perimeter fencing of the school premises as the youths destroyed the portion that had already been constructed. A Nigerian couple have won the hearts of many with their eye catchy pre-wedding photos. 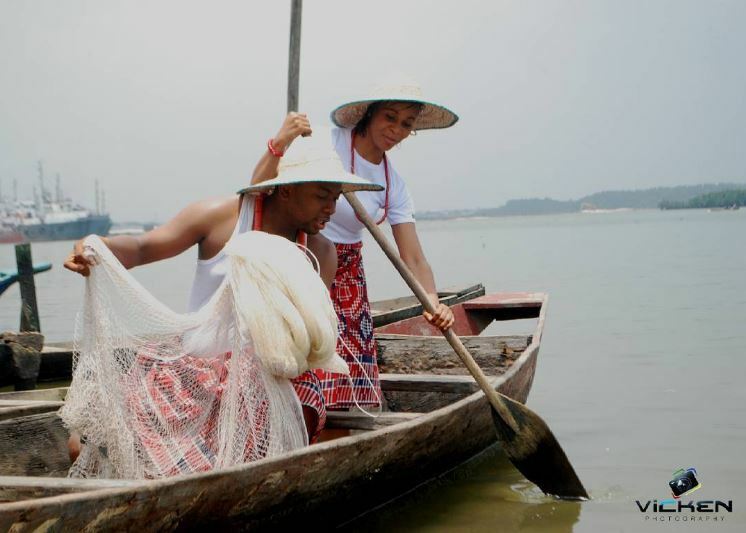 The two charming couple chose to depict fishermen inside canoe with nets trying to catch a fish. 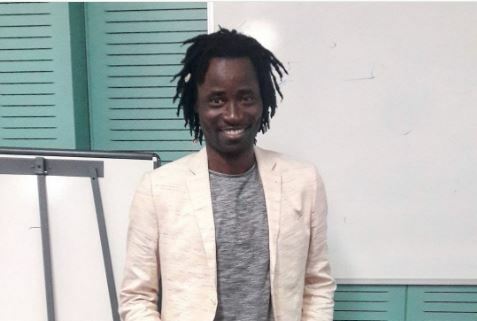 One of the Lesbian, Gay, Bisexual & Transgender community advocates from Nigeria - Bisi Alimi has commented on the rejection of the bail appeals of Nigerian female journalist Kemi Omololu Olunloyo. Bisi Alimi questions the rationale behind the continued presence of Madam KOO behind the bars of the Port Harcourt prison considering the democratic system of government in Nigeria as well as the staunch religious posture of the country. He concluded that the travails of Madam KOO has only succeeded in making her more popular in the Nigerian setting instead of destroying her as aimed by powerful hands. 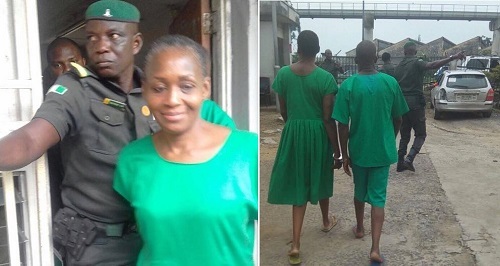 Madam KOO has continued to languish in Port Harcourt prison for about two weeks as pictures of the Canada-deportee in a green prison gown liter the Nigerian social media space. A Kenyan pastor has become the object of mockery in his country after his country men took to social media to mock him after he boasted that his dead wife would resurrect after four days. Ogbeta.org gathered that Pastor Githumba had stormed the mortuary with his congregation members saying that God revealed to him that his wife, Polly Kagendo will resurrect after four days. So, he ordered the mortuary attendants to bring out his dead wife as he began fasting, praying and camping at Gakwegori mortuary from 8 a.m to 5p.m. 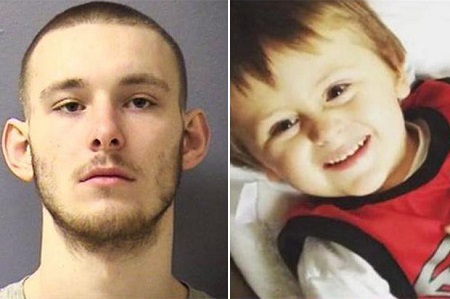 A man who allegedly r*ped his girlfriend’s four-year-old boy to death faces the death penalty, Daily Star UK reports. Keith Jordan Lambing, 20, was arrested and accused with the monstrous crime over the death of his partner’s son Bentley Miller. Bentley was found unconscious in the car of Kristen Herold, Lambing’s mother, with brutal injuries. 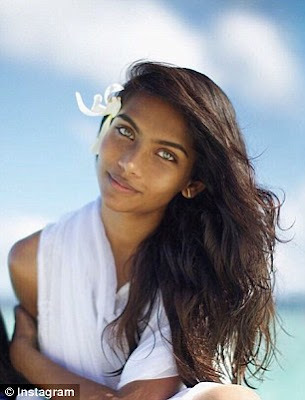 People have been left in great shock following the death of a model and medical student who appeared on the cover of Vogue and even received praised from the president of her native Maldives for her striking appearance. She was alleged to have committed suicide at a dormitory hostel in Bangladesh. According to Dailymail, Raudha Athif, 21, a second-year student at Islami Bank Medical College in Rajshahi city, was found dead in her room on Wednesday. Her body was recovered by police at around midday after her classmates found her dead. 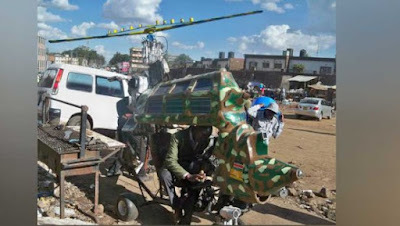 A Kenyan man has left his countrymen and outsiders baffled after he build a solar-powered helicopter. The man identified as Fredrick Onyango, 25, according to The Nairobian, has never set foot inside a classroom. He cannot even write properly. He is now putting the final touches on the solar-powered helicopter along Ngara’s Quarry Road. That genius is now the talk of town. His genius work has been hailed by his community members and has attracted so much attention. He is yet to test-fly it. “I was born in Kisumu. I came to the city more than 10 years ago. 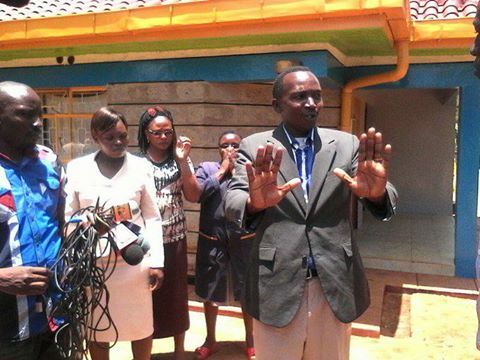 I started life as street boy before honing my innovative skills,” the father of three told The Nairobian. Nigerians on social media have expressed mixed reactions about the lengthy time of Kemi Omololu Olunloyo behind bars over a case of defamation of character against a South-south cleric, Pastor David Ibiyeomie. The Salvation Ministries pastor based in Port Harcourt reportedly ordered the arrest of Kemi Omololu Olunloyo who accused him of adultery and embezzlement of church funds. Madam KOO as she is fondly called has been behind bars for about two weeks with all bail appeals rejected by court despite the fact that her crimes bother on civil offences and not criminal ones thereby not warranting incarceration. 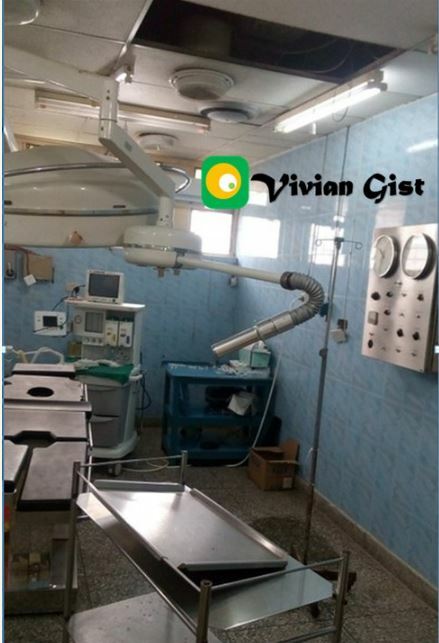 The Association of resident Doctors (ARD) University of Benin Teaching Hospital (UBTH) has declared a State of Emergency at the hospital due to the acute decay of administration procedures and state of equipment in the hospital. Arising from an emergency general meeting (EGM) held by the association on Monday 27th March 2017 where issues bothering on patient care staff welfare and infrastructure were discussed, the executive of the association led by their president, Dr. Eustace Oseghale, has declared a state of emergency at the hospital saying that the reality is that patients coming to the hospital cannot be given adequate service. A Nigerian lady who lives in Italy, Mercy Alex, has shared photos of fellow citizens who lost their lives in the search for greener pastures abroad. 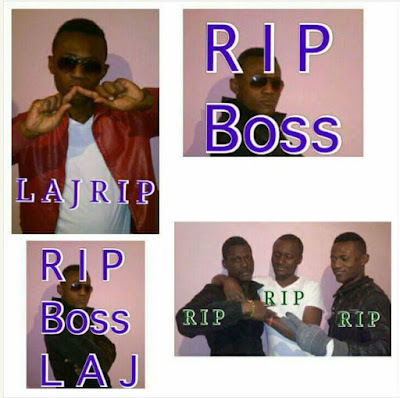 According to information gathered online, the Nigerians died while trying to reach Italy through the Mediterranean sea. Mercy Alex who posted the photos which have gone viral online wrote; "After risking their lives no one live to tell the story, with tears in my eyes I pray may their soul rest in peace Amen". Nigerians have often times being discouraged about their desperation for better economic opportunities abroad at the detriment of their lives. This is the video of the cat that allegedly turned to a woman after it was stoned we reported about yesterday. The shocking incident happened in Lagos. Energetic Jay who shared the story said people were left in a state of confusion after the incident happened. A large crowd gathered to catch a glimpse of the woman. The poster wrote; "Wonders....i use to think it's only in Nigerian movie, cat do turn to human.. Not until one happen for my area this morning... A cat when stoned by a little boy, turned into a woman with grey hair.. Confessing that they are sixteen in number... Abeg, I wan relocate ooo." 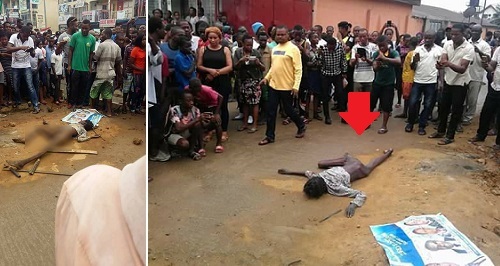 He added in another post; "Live in my area.....this one no be Nigerian movie ooo .. a cat after being stoned, turned to a woman with grey hair." 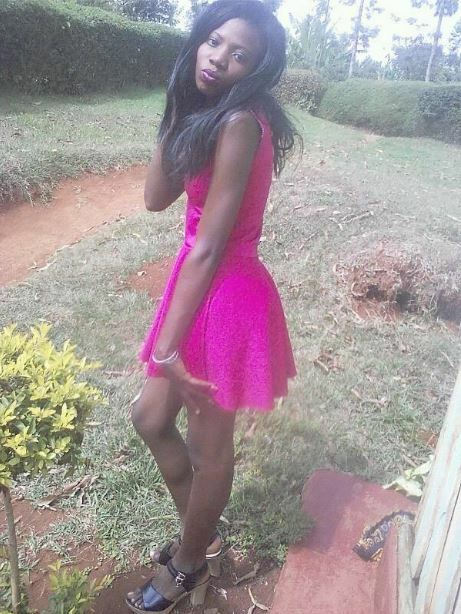 A Kenyan lady named Vybez Vashnadze is trending online after she paraded her 11 ex-boyfriends on social media. According to her, in life, you have to pass through the wrong guys to get the right one. This has been described as a very daring move on social media as she ignored the perception of the general public to make her point. Meanwhile, It wasn't specified if she was s*xually involved with all of them. 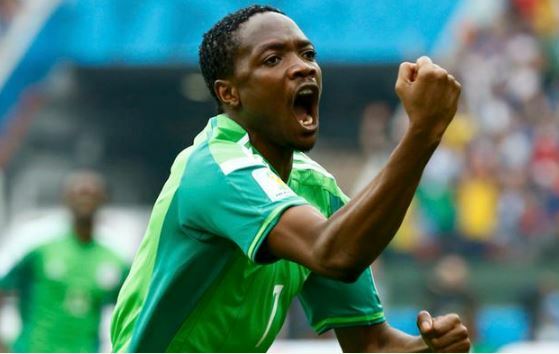 Leicester City star Ahmed Musa may join the list of players to quit the na­tional team unceremoniously as he is considering resigning from international football. It was gathered that Musa feels disrespected after the cap­taincy drama before the match against Senegal in London, when he was dropped from leading the Eagles for Ogenyi Onazi to be announced as new team leader. 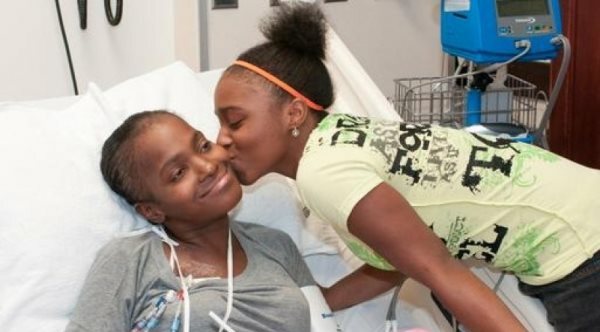 An American woman, Iesha Thomas, reportedly cured of sickle cell. If you or someone you know suffers from sickle cell disease, hope is on the way. Iesha Thomas, who suffered from the disease herself, is the first person to be cured. This is huge!!! Sickle cell affects 1 in every 500 African Americans in the U.S. But, the good news is, this disease might be on its way out. Fingers crossed. In an official statement released in Abuja on Thursday, the management of Nigerian National Petroleum Corporation (NNPC), alerted the general public of adulterated petroleum products. The founding partner of Brazilian investment group, DIS has accused Neymar and his family of being "traitors," while insisting the Brazil and Barcelona star can't be a role model to children for what he's done. DIS owned a substantial stake in Neymar when the Brazil No. 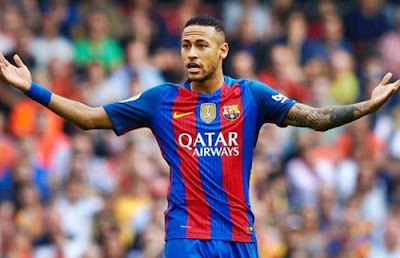 10 was sold from Santos to Barcelona for upwards of €86 million in the summer of 2013, but were shorted in the deal because part of the fee was concealed by Barcelona, Santos and the company run by Neymar's parents. Increasing demand for the dollar at the parallel market on Thursday resulted in the rise of the greenback currency to N380 from N370 on Wednesday in Abuja. The News Agency of Nigeria reports that the Naira also depreciated against the Euro, exchanging at N400, from N390 on Wednesday. 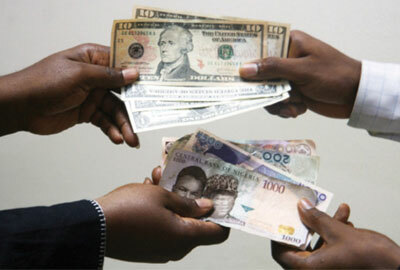 The Naira, however, appreciated against the Pound Sterling, trading at N465 from N470 on Wednesday. 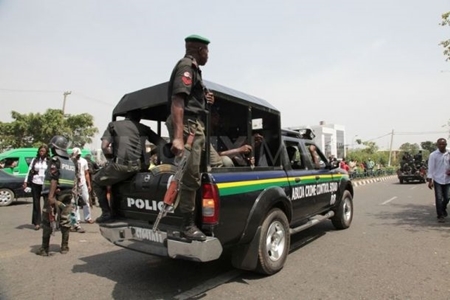 Unknown gunmen suspected to armed robbers on Thursday, shot dead a bank customer few meters away from the state Government House in in Owerri, the Imo State capital. According to Punch Metro, eyewitnesses disclosed that the victim was shot dead by the dare-devil armed men when he allegedly refused to handover the money he withdrew from a bank few meters away from the scene of the crime. 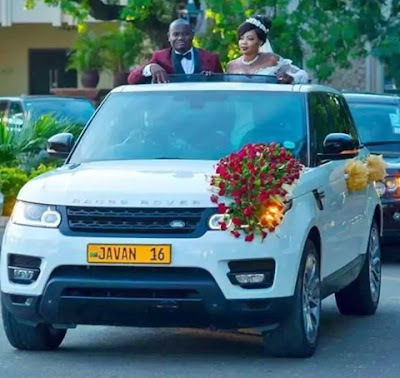 A popular Kenyan millionaire identified as Javan Bidogo, who reportedly spent millions in lavish weddings for his two brides who are believed to be best friends on the same weekend, has turned to an internet sensation. The brides Asha Juma and Elvas Kulengwa who even posed for a selfie before and after the wedding, said their 'I do's' over the weekend in ceremonies which were held in two different locations, posh hotels. 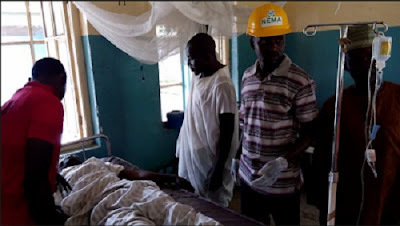 A dramatic incident has left many people in serious shock after a 45-year-old man identified as Timothy Abiara died after he slumped while playing table tennis in Kwara yesterday. The deceased had been playing against another at the table tennis hall of the State Stadium Complex in Ilorin when the unfortunate incident occurred suddenly. 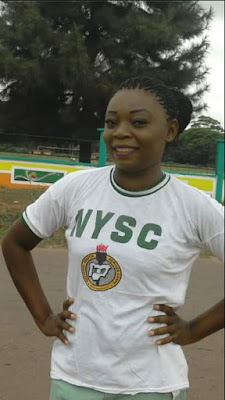 A FUTO graduate named Uche Nwaokolo has been reported dead after making a scary Facebook post days before her demise asking God to fight for her as she holds her peace. She just completed her National Youth Service Corp, NYSC after graduating from Information and Management Technology (IMT) in Federal University of Technology, Owerri, Imo State. Everyone is still surprised with her sudden demise which has come as a shock to many. As of the time of filling this report, no concrete reason has been given as to why she lost her life. Her friends are still perplexed asking one another the reason as to why she had lost her life. Her sister, Nwaokolo Franca Ngozi made a comment on a post she made after her sister’s death stating that anyone that is involved in her death will never know peace. According to her, her family is still investigating the cause of her death. Efforts by social media users to reach her on details of what may have led to her death proved abortive as she did not reply Facebook messages that were sent to her. 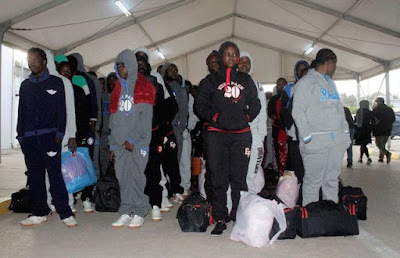 The Government of the United Kingdom (UK) has deported 23 Nigerians for committing immigration-related offences in the country. The Government of the United Kingdom has deported 23 Nigerians for committing immigration-related offences in the country. The News Agency of Nigeria (NAN) reports that the deportees arrived at the Murtala Muhammed International Airport (MMlA) Lagos at about 6.a.m on Friday. 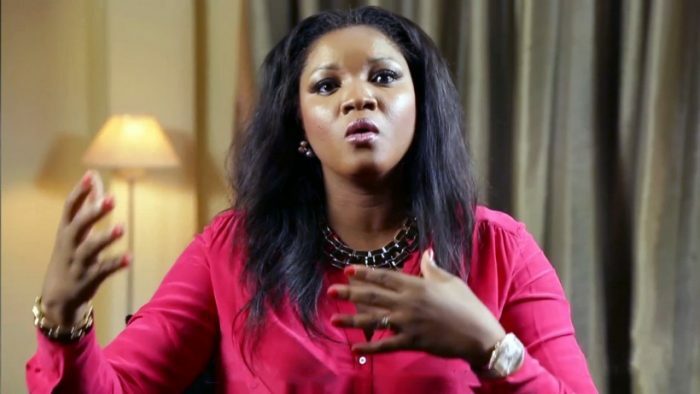 Nollywood actress, Omotola Jolade Ekeinde is known for her hot body structure and beauty but it seems she is getting tire of becoming fat. According to the actress, she wants to get back to her tiny waist and needs to know if waist trainers could help. 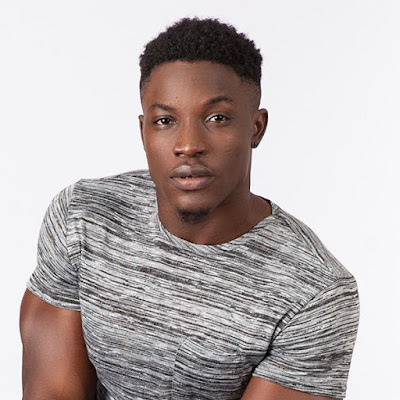 Bassey is one of the two housemates who joined the show a week after it started and the last housemate to be evicted. We had to dig out this video for you guys to see some of these guys already have their lives going on fine for them. When we realised Bassey starred in the viral Gold Circle ad, we were so much amazed. Bassey studied theatre arts at the University of Calabar, with acting as his major. In the ad, he called his girlfriend and put the phone on speaker while her uncle was there, and his girlfriend shares too much info. It’s really hilarious and we think he did a great job. You can watch it below if you haven’t seen it yet. 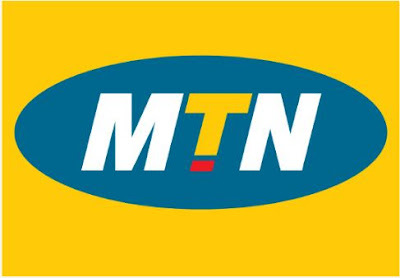 MTN has made a payment of 30 billion Naira ($98 million) to the Nigerian government in part settlement of a 330 billion naira fine imposed on the telecoms group for not disconnecting unregistered SIM cards. 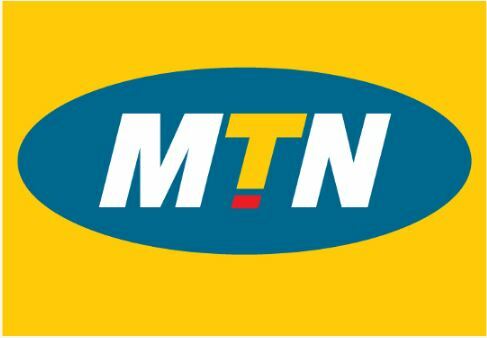 According to Reuters reports, an MTN source revealed on Thursday that the Africa’s largest telecoms company has already paid 80 billion naira of the total amount owed. The fine is due for payment in six installments over three years. 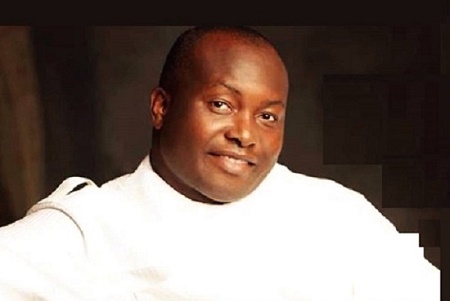 It has been confirmed that the Department of State Services, on Thursday, in Abuja, arrested and interrogated the Group Managing Director of Capital Oil and Gas Limited, Mr. Ifeanyi Ubah, over the claim by the Nigerian National Petroleum Corporation that it had N11bn worth of Premium Motor Spirit stored in his firm’s facility. 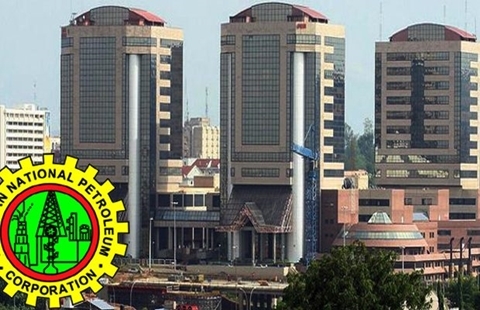 According to Punch, the NNPC had written both the DSS and the Economic and Financial Crimes Commission, asking them to help it to recover the said amount allegedly in the possession of Ubah. A 26 year old lady, Shondel Williamson has summoned up the courage to walk away from a toxic relationship with her two young children after enduring over 10 years of abuse. Immediately, she left the relationship, she begun to rebuild her life back, by working and catering for her kids, who are boys. Within a twinkle of an eye, her life changed for worse. 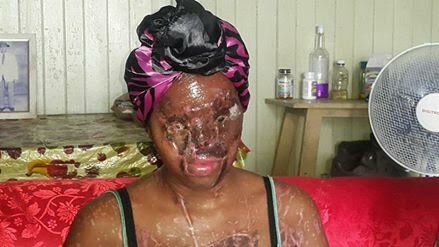 Her former lover, who apparently, is also the father of her children, attacked her with acid, which burnt away her nose, eyes and upper body. A strange scene occured on the streets of Port Harcourt. A bird was alleged to have transformed into a full human being yesterday, Thursday, March 30, 2017. The incident which unleashed pandemonium in the Agip/Ada-George junction and its environs reportedly took place at about 8:00 am this morning. Vanguard reports that the bird turned into a skinny looking lady after it was electrocuted on a high tension wire. 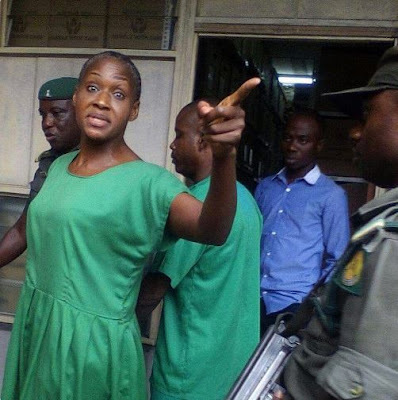 We reported earlier that Controversial journalist, Kemi Olunloyo was granted N200,000 bail by a Chief’s Magistrate Court. Now Punch is reporting that she has been remanded in prison by a Federal High Court in Rivers state, thus denying her bail for the second time. However, charges against the Port Harcourt-based publisher, Samuel Walson, were dropped. 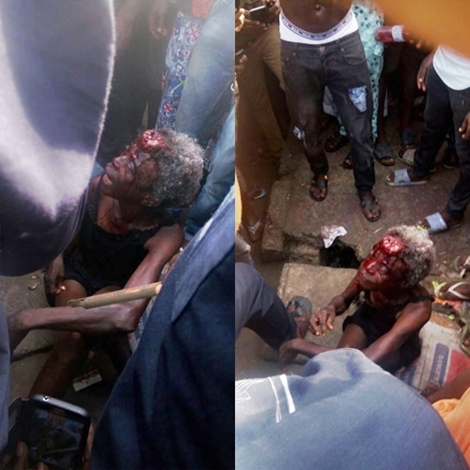 A Lagos-based Facebook user identified as Energetic Jay, has taken to the social networking platform to post some photos and share the shocking story of how a cat allegedly turned into an old woman with grey hair in Lagos. The poster wrote; "Wonders....i use to think it's only in Nigerian movie, cat do turn to human.. Not until one happen for my area this morning... A cat when stoned by a little boy, turned into a woman with grey hair.. Confessing that they are sixteen in number... Abeg, I wan relocate ooo." 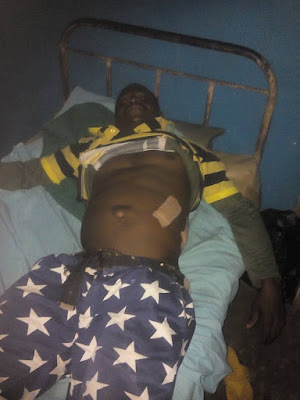 The fourth person who was shot by a killer ex-police officer, Wilson Ufere, last Thursday along Anara - Umuahia expressway in the Isiala Mbano Local Government Area of Imo State has finally regained consciousness. The victim, Chigozi Iwuala was nearly killed by the trigger-happy police­man, Sergeant Wil­son Ufere who has been dismissed from the Police Force for shooting four un­armed youths, and killing 16-year-old Obinna Iwuoha instantly in Imo State. 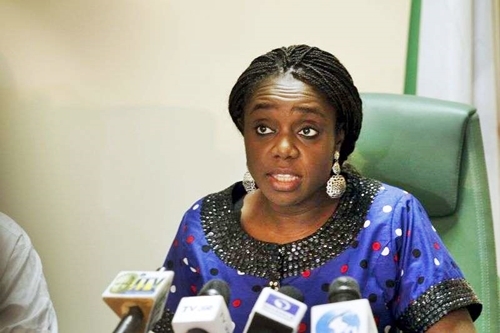 The Federal Ministry of Finance on Thursday, announced details of members of the board and management of the newly licensed Development Bank of Nigeria, DBN. The management team is led by Tony Okpanachi, a banker and erstwhile Deputy Managing Director/Deputy CEO, Ecobank Nigeria Limited. Before his appointment as Managing Director/ CEO of Development Bank of Nigeria, he was the Deputy Managing Director of Ecobank Nigeria Limited. 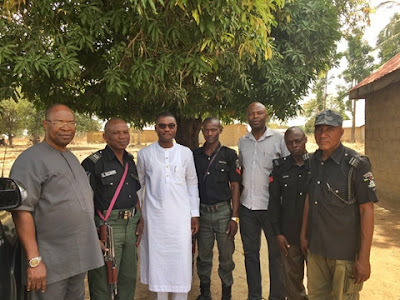 Former Minister of Information, Frank Nweke Jnr, has taken to his Twitter page, on Thursday, March 30th, to reveal how he was rescued from being kidnapped along Kaduna-Abuja Road by the Nigerian Police. Frank Nweke thanked the gallant operatives of the Police Force for coming to his aid on time and praised them for protecting the lives of Nigerians daily. Copyright(c) www.ogbeta.org. Theme images by mammuth. Powered by Blogger.